The U. S. News & World Report recently released their pick for “best overall” diet. The DASH diet ranked number one again for the eighth consecutive year. The diet also ranked at the top in the categories “best diets for healthy eating” and “best heart-healthy” diet. 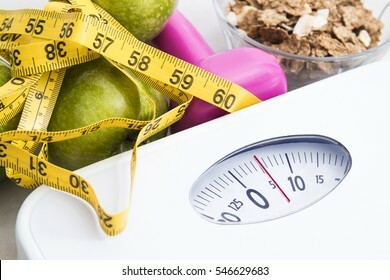 “Best diets” are chosen based on how readily most people can adopt them into their diets, how easily they manage purchase and preparation, and how well users can sustain the dietary plan. 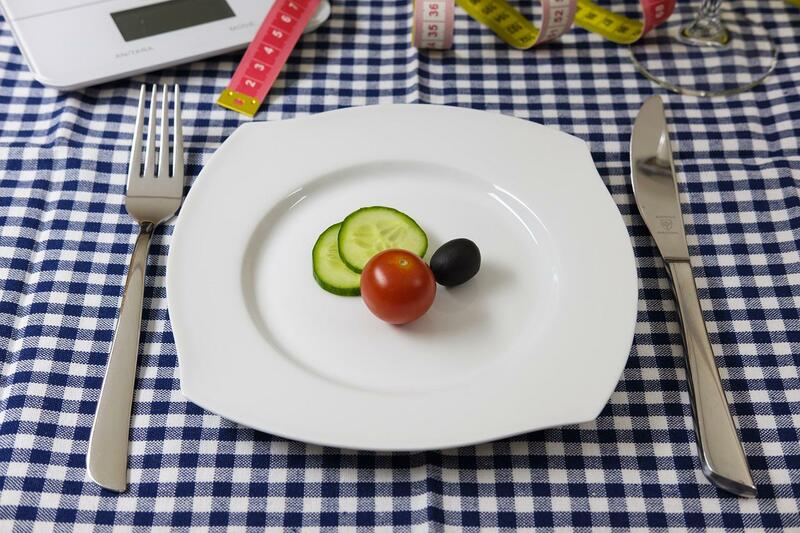 The DASH diet isn’t a fad. It emphasizes long-term lifestyle changes. Initially designed as an appropriate way to lower blood pressure, the DASH plan has been well received and accepted by the public as well as health professionals. It is easy to follow using common foods offered in the grocery store. The use of readily available foods that don’t require special preparation saves time and money. Inclusion of daily servings of foods from different food groups provides variety and the opportunity to choose many foods without becoming bored. What foods makes this diet the best? 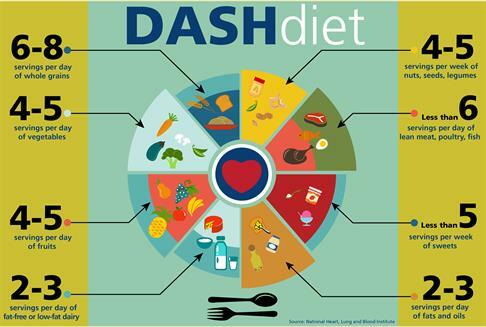 The DASH diet emphasizes fruits, vegetables, whole grains, fat-free or low-fat dairy products, and meat, fish, and poultry plus nuts and beans (legumes). It limits sugar-sweetened foods and beverages, foods high in salt/sodium, fatty meats high in saturated fat, and less-healthy fats such as the tropical coconut, palm kernel, and palm oils. Fruits and vegetable provide antioxidants and are low in sodium, factors known to constitute healthy eating. If you follow this diet, please share your experiences of benefits you have found. For those who choose to make healthy eating a priority for 2018, check out a shopping guide, copy a list of foods included, and place on your refrigerator door as a reminder. Take along a copy when you shop. Avoid those less healthy foods you often buy, and become mindful of better choices. It’s your life. It’s your health. Be healthier this year by choosing wisely the foods you eat. A designated “day” seems to exist for everything imaginable. June 10, 2016 is National Iced Tea Day. The history of tea goes back some 5,000 years. Recipes for cold spiked punches, made mostly from green tea, surfaced in the late 1700s. Nearly 100 years later, recipes of the iced tea we love today appeared in cookbooks. While iced tea is great unsweetened, early versions were mostly sweetened and often served with lemon. Iced tea became a national favorite after Richard Blechynden, a tea merchant, decided on a hot day at the 1904 World’s Fair in St. Louis to distribute free iced tea instead of his usual hot tea. This iced beverage immediately became a hit and has become one of the most popular drinks around the world. Some 85 percent of tea drinkers want theirs iced. Celebrate this national day with a tall glass of refreshing and healthful iced tea. Do You Know Your Milks? In past years, milk referred to that creamy white liquid from contented, or not so contented, cows. Not anymore. Milk now encompasses a bevy of liquids from animal and plant sources. Although milk is available from goats and other animals, the word milk most often brings to mind cows. Cow’s milk comes in many forms and undergoes three primary processes before bought by consumers. Pasteurization. Milk is heated for a certain time to a specific temperature, often 161 degrees Fahrenheit for 15 seconds or an equivalent temperature and time. This kills harmful organisms and helps milk to keep longer. Homogenization. Milk is mixed to break down fat globules and keep the cream from separating from the fluid and milk solids. It keeps the texture smooth and creamy. Fortification. Substances are added to increase or replace nutritional values. Most milk has 400 I.U. of vitamin D added per quart. In the supermarket, milk is mostly defined by fat content. The Food & Drug Administration (FDA) regulates dairy products based on standards of identity. The following are the most common types available to consumers. Whole milk has no fat removed and has 3.5% fat content with about 150 calories per 8-ounce serving. Non-fat or skim milk has negligible amounts of fat of less than 0.02%. An 8-ounce serving has about 80 calories compared to 150 calories for whole milk. Evaporated milk is whole or skim milk with approximately 50% of water removed. It has vitamin D added and is homogenized. Condensed milk has much of the water removed and is sweetened with nutritive carbohydrate sweeteners. It is pasteurized and homogenized. Raw milk is unpasteurized. Because it can transmit harmful bacteria, the FDA warms against drinking it. Organic milk is produced by dairy farmers who raise their animals on land using only organic fertilizers and pesticides. Cows are not given supplemental hormones. The milk is processed in the same way as standard milk and the nutrient content is the same. Organic milk doesn’t offer any more health benefits than standard milk. Plants provide alternative sources of milk. Many forms tout added benefits. Some of the most common plant sources include: soy, rice, oat, coconut, and almond milks. For those unable to drink cow’s milk for health reasons, these plant sources give viable alternatives. If you are new to other forms of milk, don’t expect it to taste anything like the familiar cow’s milk. Each type has its own unique flavor. Whatever you choose, milk is a healthful choice to meet the daily requirements of many nutrients.